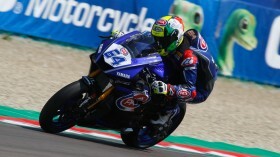 Lucas Mahias (GRT Yamaha Official WorldSSP Team) made the most out of his one attempt at a dry lap to take his third Superpole of the FIM Supersport World Championship. After sunshine all throughout the day at the Autodromo Internazionale Enzo e Dino Ferrari di Imola, the rain conditioned the second qualifying session, shuffling the starting grid for tomorrow. The first drops fell at the tail-end of Superpole 1, with Massimo Roccoli (G.A.S. Racing Team) and Rob Hartog (Team Hartog – Against Cancer) making the best of the still-dry conditions. By the time the twelve best men came out on track, it quickly became a race to record a lap before the conditions worsened. Those who pushed early hit the jackpot – while the first four rode in 1’53 and 1’54s, from fifth backwards no rider made it under 1’58.701. Second behind Mahias was Jules Cluzel (NRT), continuing his good form from Assen. 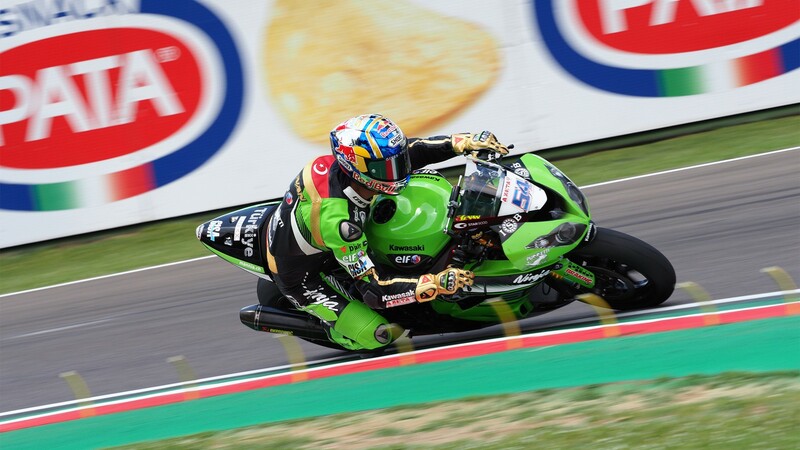 The front row will be completed tomorrow with Kenan Sofuoglu (Kawasaki Puccetti Racing). 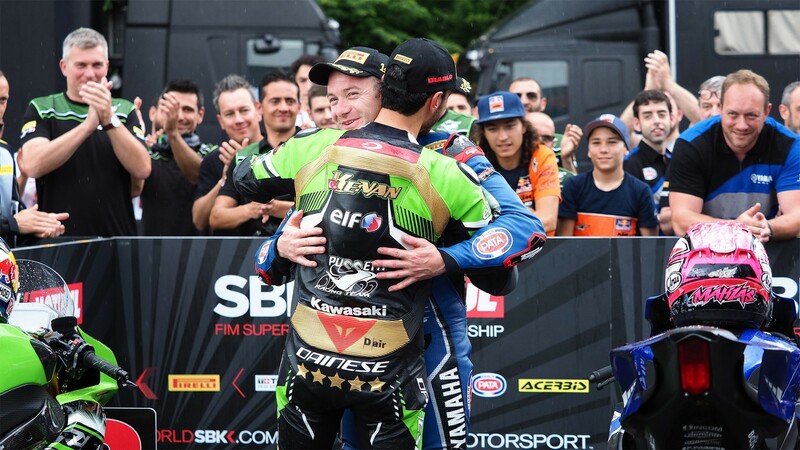 Despite coming in with little preparation or training in 2018, the WorldSSP legend will be in a prime position to finish his career in the best way possible. 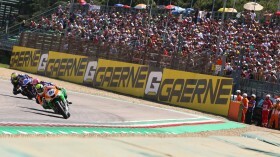 The good news for Mahias didn’t stop here, as his two closest contenders for the championship finished the session at the other end of the standings. 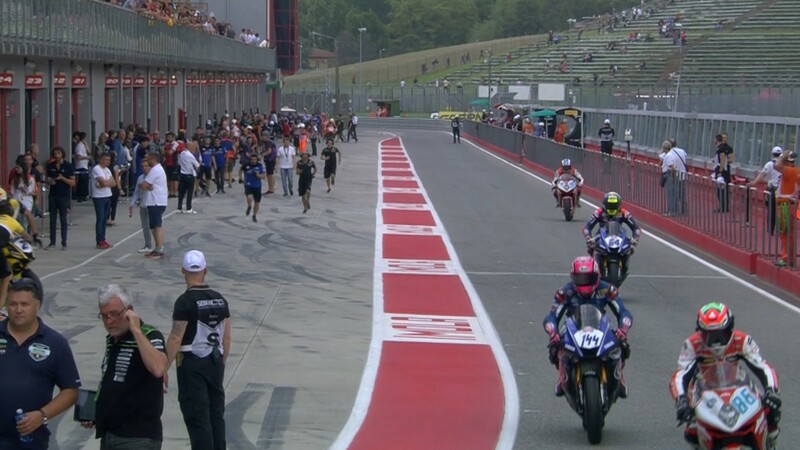 Sandro Cortese (Kallio Racing) will start from ninth tomorrow, while Randy Krummenacher (BARDAHL Evan Bros. WorldSSP Team) will have to command another fight from the back as he starts from eleventh. 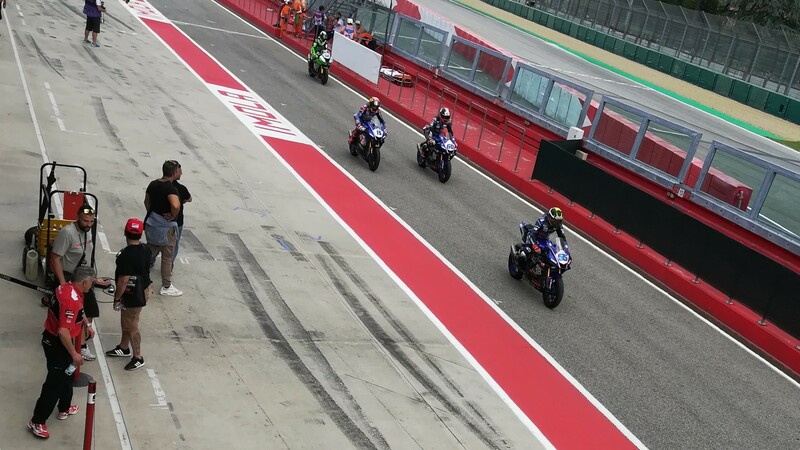 Federico Caricasulo (GRT Yamaha Official WorldSSP Team) will start from the front of the second row, in fourth. 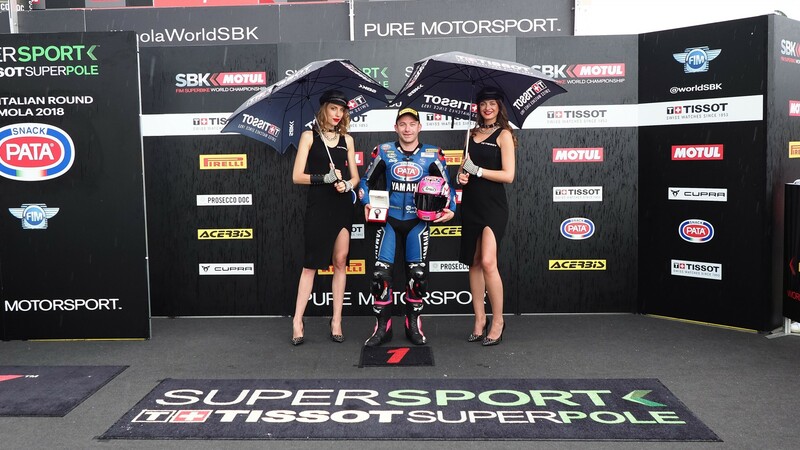 Hartog took advantage of the conditions to make it in in fifth place, by far the best rider competing in the FIM Europe Supersport Cup. 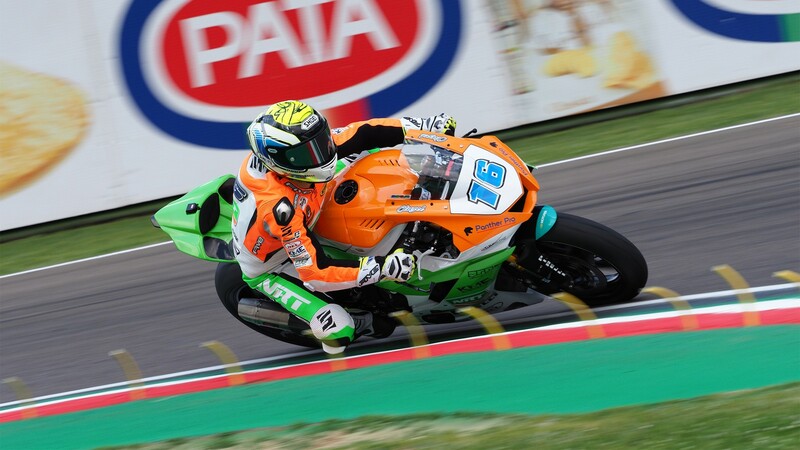 Sixth was Luke Stapleford (Profile Racing), while Roccoli finished the session with the seventh fastest time. WorldSSP returns on Sunday, with the fifth race of the season! Will we also see a fifth race-winner in 2018? 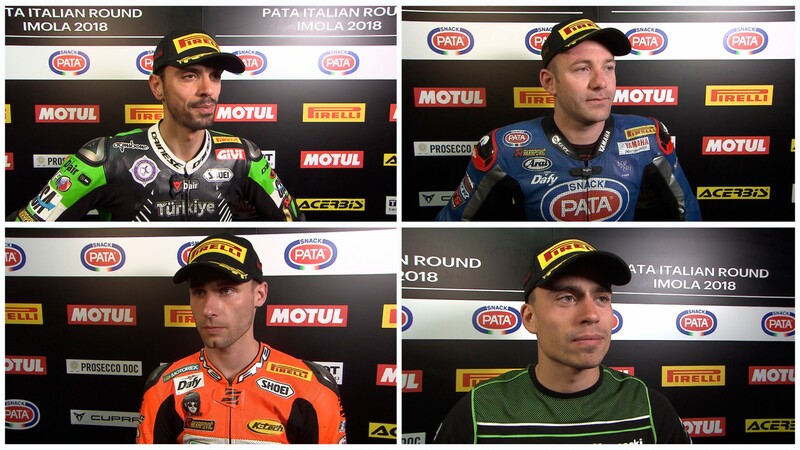 Find out and catch all the action, thanks to the WorldSBK VideoPass.